Join Animegg Today!Click To Discover the Premium Advantage Now! Misaki is suddenly having some unexpected and odd problems. What started as a need for some college entrance exam tutoring has somehow led him to being romanced by a suave older man who also happens to be his big brothers best friend. Confused by all of his brand new emotions, Misaki struggles to deal with his suddenly very odd life. And if that wasnt enough, his suitor, Usami, has plenty of issues of his own. A man-child who decorates his room in giant teddy bears and toys, Usami is a famous novelist who also writes steamy boys love novels on the side. When Misaki cracks open one of these books and reads sentences like \"Misaki licks every inch of Usami\'s hot body\" ...well, lets just say that all hell breaks loose. 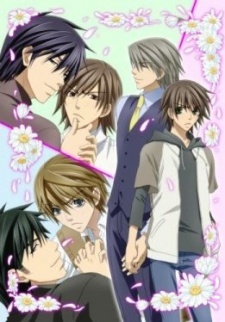 Watch Junjou Romantica Episodes Online at Animegg.org. Junjou Romantica is available in High Definition only through Animegg.org. Choose an episode below and start watching Junjou Romantica in Subbed & Dubbed HD now.